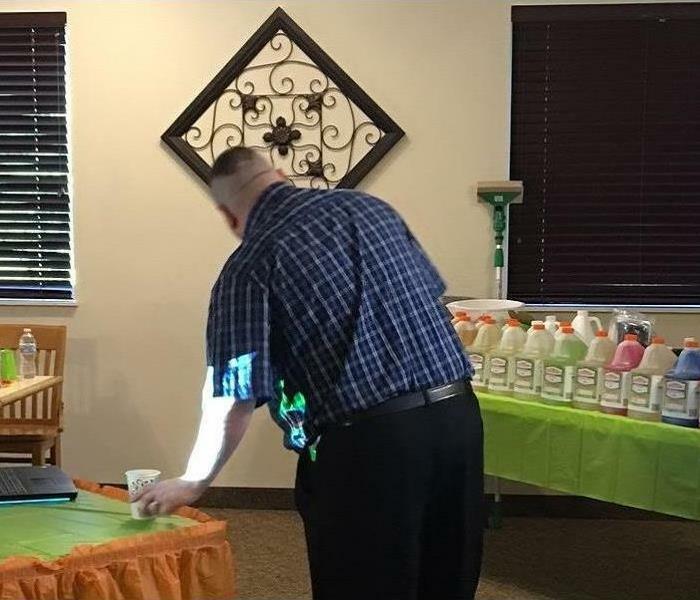 Our first Continuing Education Class in the Parkersburg/Marietta Area showcasing SERVPRO cleaning products. 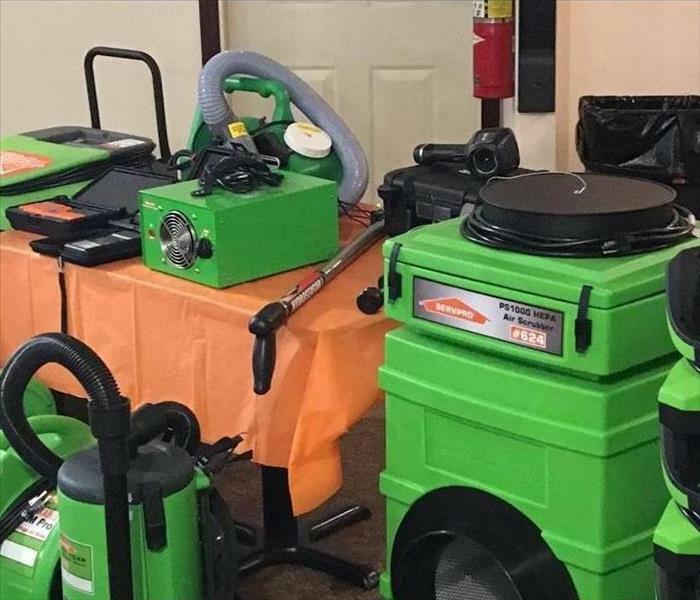 SERVPRO equipment on display at our first CE Class in the area. Jason Gossett and James Miller getting ready for the M.A.R.S. (Mitigation Awareness and Response CE Insurance Seminar). Jason engages his audience and is skilled at keeping the attendees attention. 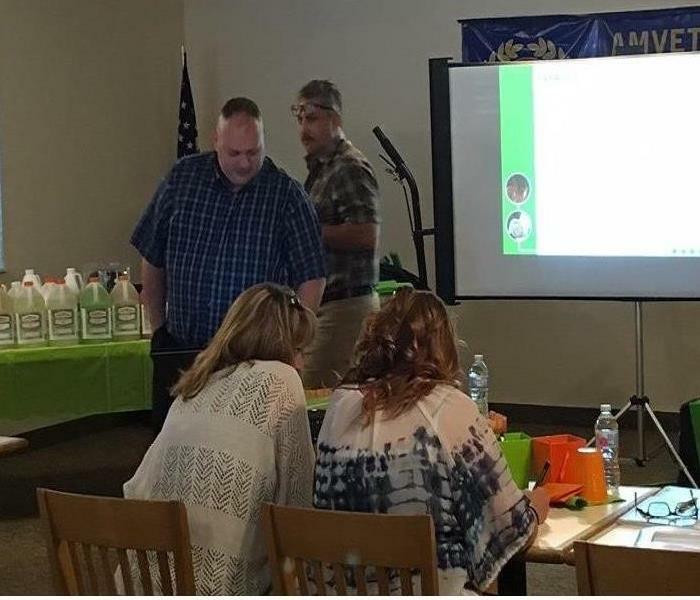 Jason Gossett held SERVPRO of Wood, Ritchie & Pleasants Counties first ever CE Class. Jason is original from the Parkersburg/Marietta area and enjoyed being back. 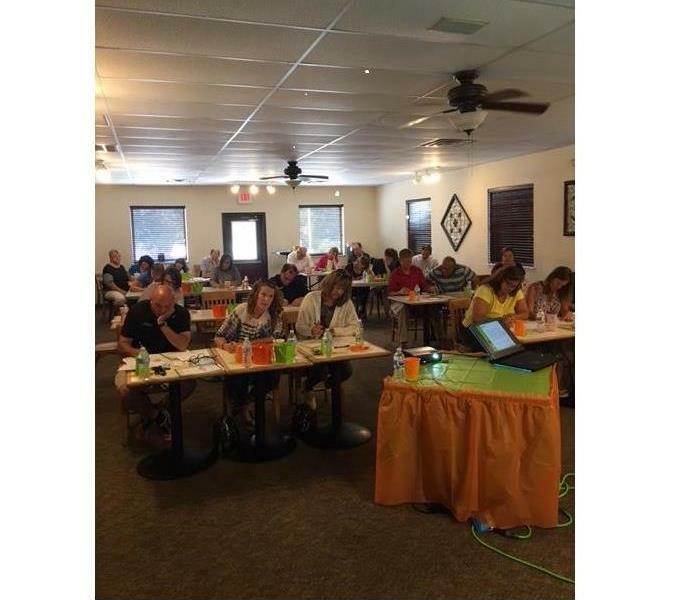 Parkersburg, Vienna, Ripley, Ravenswood, St. Mary's, Marietta and Belpre insurance agents and representatives attended the Ethics and M.A.R.S. CE Classes. 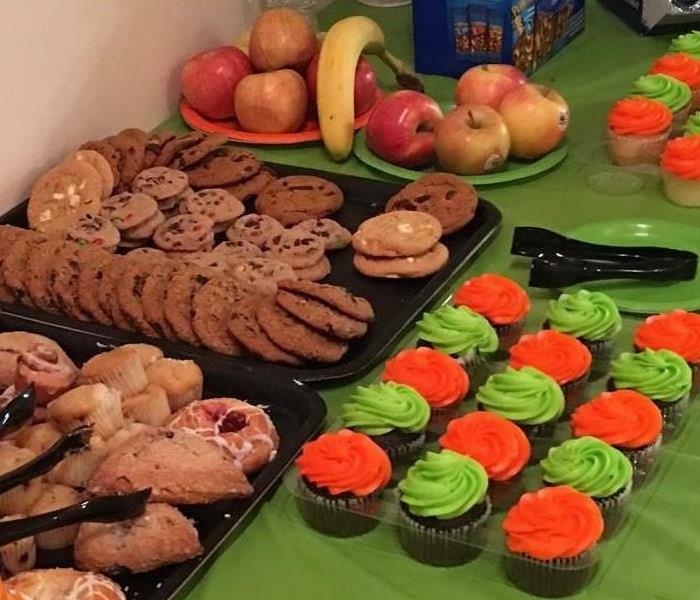 Good food and treats at the CE Class held by SERPVRO of Wood, Ritchie & Pleasants Counties. Lunch was provided for all attendees. We hope everyone had a great time.